Portland is on the southwest coast of England in the county of Dorset. 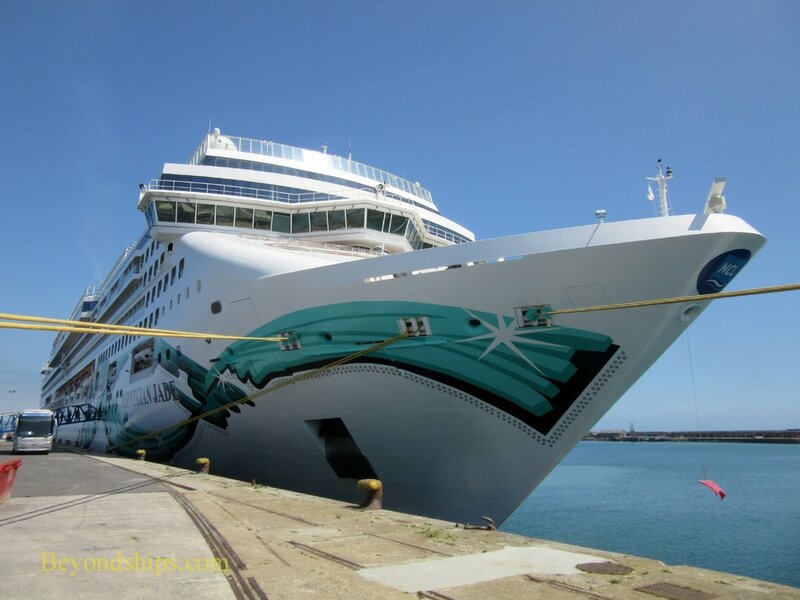 It serves as a port of call for cruise ships sailing on British Isles cruises, Iberian Peninsular cruises, and transatlantic crossings. From here, guests can explore Dorset and other points in southwest England. The port is on the Isle of Portland, a tied island connected to the mainland by a strip of gravelly land known as Cheswil Beach. The A354 road is the only means of access. One of the world's largest man-made harbors, Portland Harbor was created for the Royal Navy by building breakwaters in Weymouth Bay between 1849 and 1906. To guard against submarine attacks, a battleship was scuttled at the entrance to the harbor in 1914. 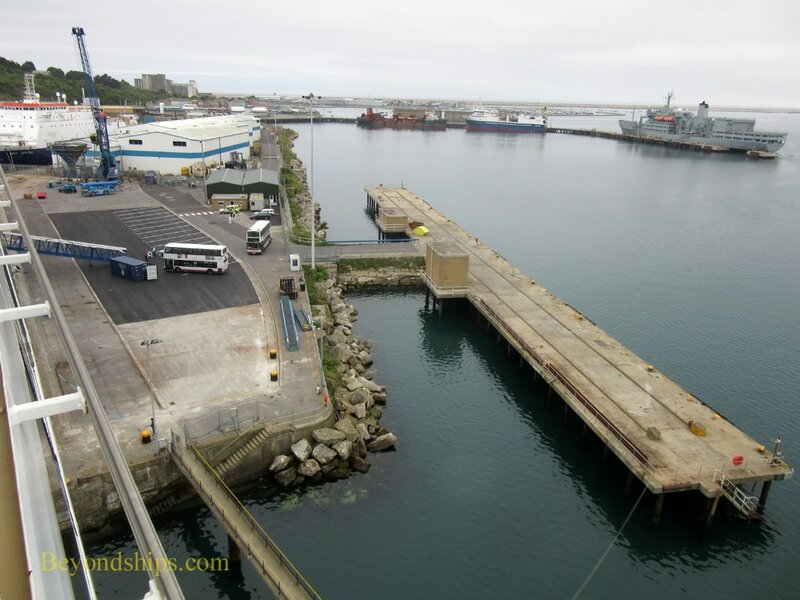 During World War II, Portland was an important embarkation port for the D-Day landings. 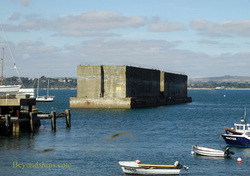 Sections of the prefabricated Mulberry harbor that were towed to France to create a temporary port can still be seen in Portland. 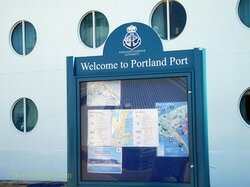 Portland remained a Royal Navy base until 1996 when it was sold off for use as a commercial port. Still, ships of the Royal Navy Auxiliary use the port. 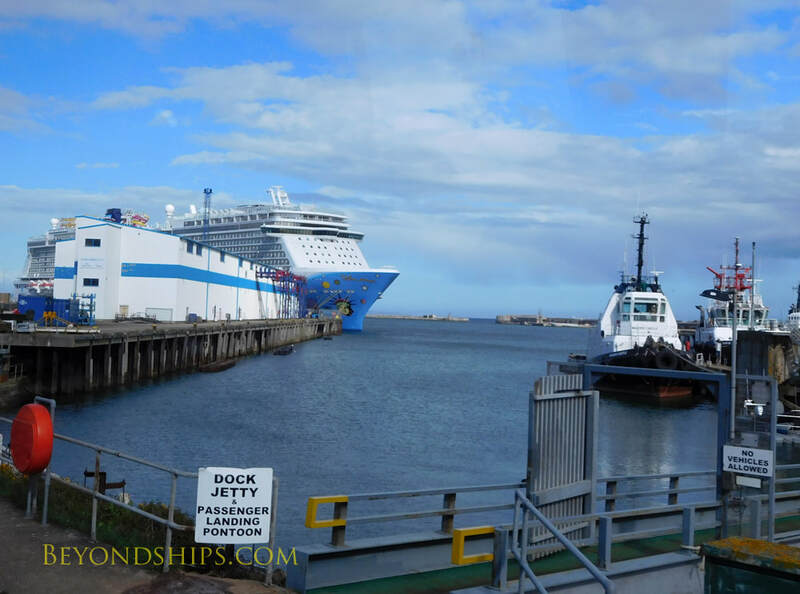 Approximately 20 cruise ships carrying some 25,000 passengers call at Portland a year. The ships berth in a cargo area. However, there is a dedicated cruise terminal building. 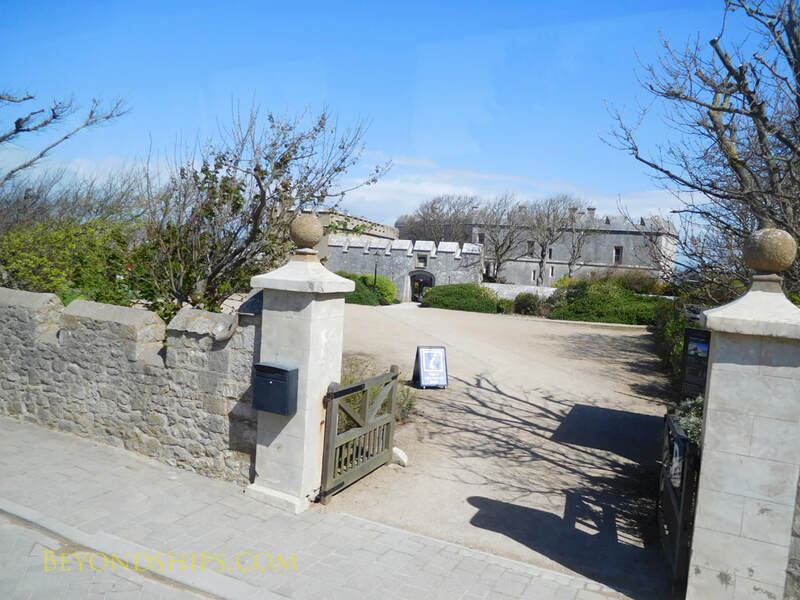 The cruise port often offers shuttle buses into Weymouth, the nearest sizable town and to Portland Castle, which was built by King Henry VIII. There is train service from Weymouth to London, Southampton and Bristol. Above: Norwegian Jade in Portland. ​Below: Norwegian Breakaway in Portland. Above: Brilliance of the Seas in Portland. Above and below: The cruise port. Above: Towering over the harbor is a hill rising some 500 feet. 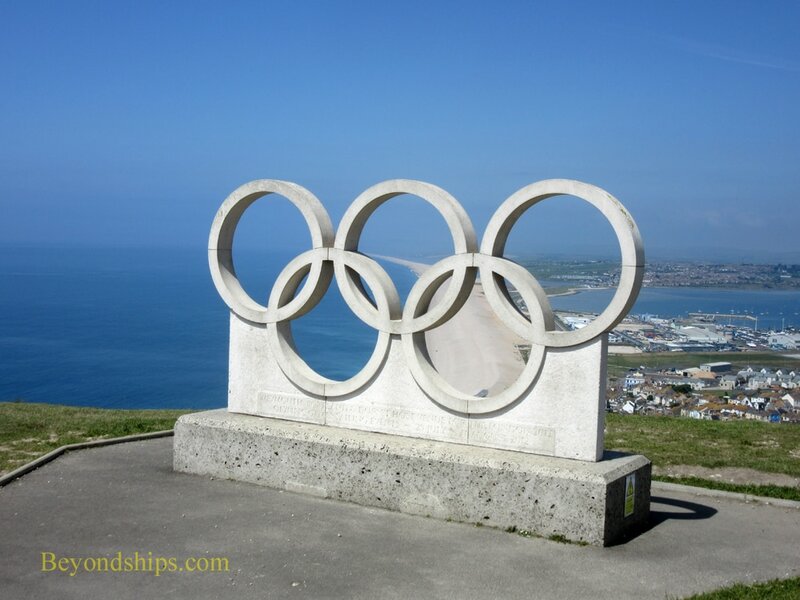 Below: At the top of the hill is an observation area and a monument commemorating Portland's role as the site of some of the 2012 Summer Olympic games. Not far from the port is Portland Castle.